Need this blinds fast? We will manufacture your Blinds in just three working days and dispatch them to you on the fourth (naturally, we cannot make or send the blinds on weekends or public holidays). Plus delivery time 1-6 working days. Unmatchable Roller Blind quality and value. This Granite Prime Blockout will fit any living space for sure. The undertone of its grey colour has a cooling effect, you'd love to curl up under a blanket and watch your favorite television series. This window blind brings comfort up to the next level. Its blockout fabric rids the harsh sunlight from outside creating an atmosphere of rest and relaxation. You may roll it up and down to suit your lighting and privacy preferences. Many choose roller blinds because of their sturdy and easy-to-clean material, apart from its simplicity that levels up the style of a place. Spring assist for width over 2400mm at no extra cost. Optional automation hard-wired or rechargeable motor. 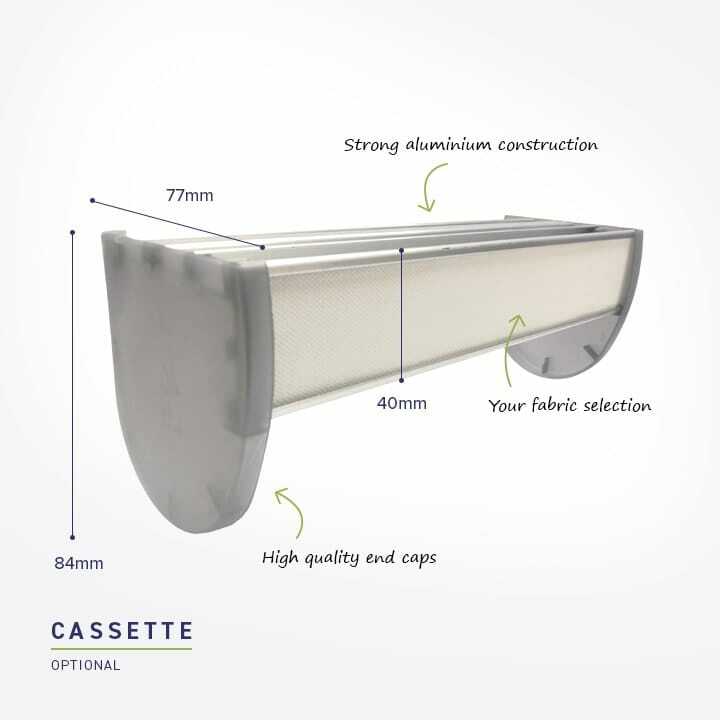 Optional cassette, strong aluminium construction. Easy clean fabric wipe clean with warm soapy water and damp cloth. 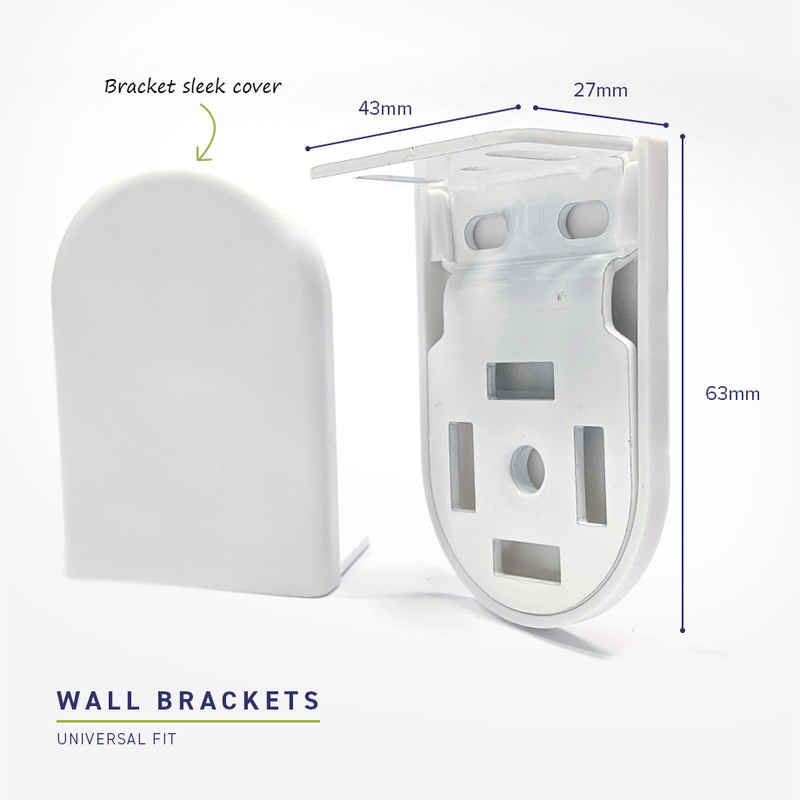 Depending on if your blind is face fit or recess fit place the brackets in position, and with a pencil mark the surface of the wall or window recess for drilling screw holes. One bracket is used with the control side A (Chain) this has a protrusion as shown in the picture and the second is used with the rotator side. When you are happy that you have correct positions for the brackets pre drill the screw holes and fix brackets securely. Taking the blind install the chain drive end into the bracket with protrusion (A) making sure that the two markings on the top of the chain drive are facing upwards. Now placing the other end of the blind into the track of the other bracket until it clicks into position. 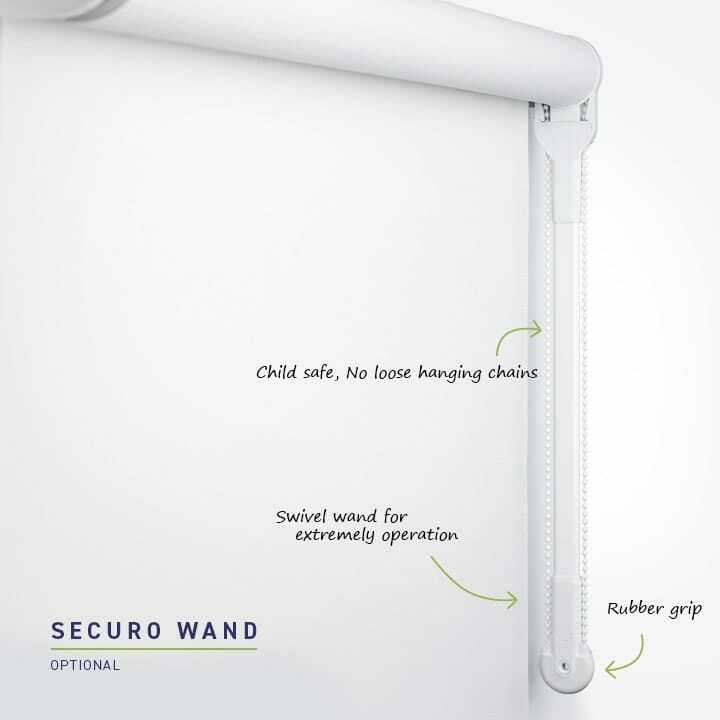 Secure the safety cleat supplied, firmly to the wall at the appropriate position to keep tension on the control chain and avoid a choking hazard. It is important to keep chains and cords safely away from children your new blind will have a safety warning tag attached please read carefully and do not remove. To operate your new blind use chain control to lift and lower, using a steady tension and movement and avoid jerking or tugging of the chain. The MR motor is a price competitive 240 volt AC remote control motor used for single or linked blinds. Operated by a 1 or 4 channel remote control. Half Price Blinds’ has ultra-modern Lithium rechargeable electric blinds motors with extraordinary capacities. They can effect up to 200 cycles (making the blind go up or down) and can be recharged fully in around three hours.